The Monon Greenway provides our community and visitors an opportunity to connect with our land, neighbors, businesses, and history. Whether you’re biking to work, rollerblading with a friend, training for a run, or simply taking a stroll through nature, the Greenway is a safe and fun way for people of all ages and abilities to enjoy the outdoors. In 1853, the Chicago, Indianapolis, and Louisville Railroad opened 300 miles of line from Lake Michigan to the Ohio River. A map of the two main lines formed an “X” over the state of Indiana and crossed at the line’s namesake city of Monon, Indiana. The word Monon was derived from the Potowatomi Indian word monong, meaning “swift running.” “The Hoosier Line,” as it became known, carried troops, ammunition, food, fuel, and medicine to Union forces during the Civil War. Throughout its history, the Monon provided continuous service to the Indiana limestone industry. The former Carmel depot on the Monon line is now home to the Carmel Clay Historical Society and Museum. The success of the Monon Greenway is due largely to the efforts of the City of Carmel and Clay Township leaders, community members, and volunteers. The Monon Greenway has been recognized by national organizations, such as Rails-to-Trails Conservancy. 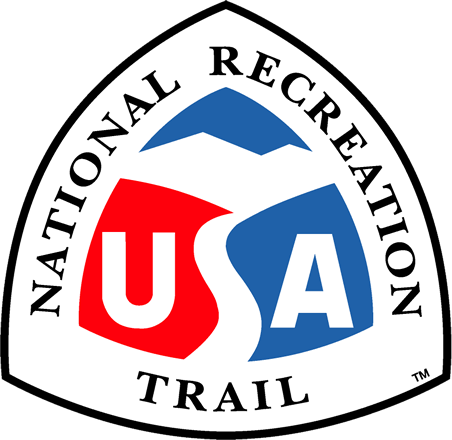 The Rails-to-Trails Conservancy has designated the Monon Greenway as one of twenty-five trails in America designated as a Hall of Fame trail. Contact us or visit our website to learn more about how you can get involved with these efforts.